Food waste has emerged as one of the prime issues and the major challenges threatening food security on the global level, including the Kingdom of Saudi Arabia. The Kingdom is exposed to harsh climatic conditions and has limited arable lands and scarce water resources to produce agricultural crops, therefore food requirements are met through heavy imports. Demands for food commodities are rising due to population increases and rising living standards. Saudi Arabia makes good quality food available to the society at the highly subsidized prices despite several limiting factors. Saudis still spend about 27–30% of their incomes on their food. They like to organize festivals and celebrate events by providing more food than required resulting in enormous wastes. In an estimate, about 78% of food purchased in Kingdom of Saudi Arabia (KSA) and United Arab Emirates (UAE) is not being consumed and is thrown in the garbage to make place for the new set of groceries in the refrigrators. Food leftovers make the single-largest component of the landfills. The food is wasted through the entire food chain starting from the farmers’ fields, to the food industries, retailers, caterers and till it reaches to the consumers. The principal drivers of food waste include: lack of awareness; unplanned shopping for groceries; consumable leftovers; and losses in households, restaurants, parties, friends and families get togethers, religious celebrations and special occasions. 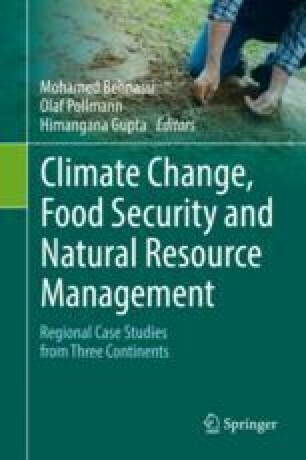 The chapter examines these factors responsible for food waste, identifies the major food waster groups and discusses the over-all food waste scenario in the Kingdom. The purpose of the work is to determine the implications for extension education to reduce the food waste in the Kingdom through sound and appropriate capacity-building programs for the youth and women in particular and the society in general. Al Ansari, M. S. (2012). Improving solid waste management in gulf co-operation council states: Developing integrated plans to achieve reduction in greenhouse gases. Modern Applied Science, 6(2). doi: https://doi.org/10.5539/mas.v6n6p60. Pradhan, S. (2010). Gulf-South Asia economics relations; realities and prospects. Centre for economic policy research. Available at: http://www.globaltradealert.org/sites/default/files/GTA4.pdf. Accessed 10 Jan 2014. Woertz, E. (2010). The Gulf food import dependence and trade restrictions of agro exporters in 2008. Available at: http://www.globaltradealert.org/sites/default/files/GTA4.pdf. Accessed 10 Jan 2014.